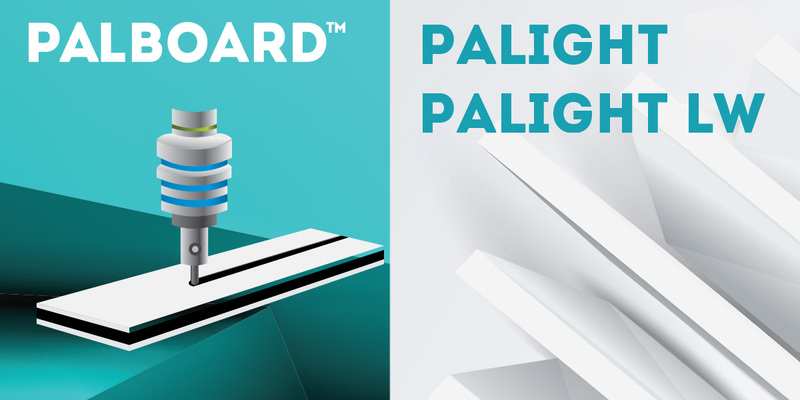 Palboard™ is an innovative multilayered sheet that offers the qualities of rigid and foamed PVC together. Palboard™ combines the surface quality and characteristics of rigid PVC with a reduced weight due to a recycled foamed PVC core. Palboard™ is easy to fabricate, making it ideal for a wide variety of sign and display applications. It makes an excellent printing substrate and is suitable for digital or traditional printing. Palboard™ can be used in harsh chemical environments due to its high chemical resistance. Palight is a lightweight, flexible and durable foamed PVC sheet. Lightweight and durable for signage, displays, and exhibition stands. Suitable for direct screen & UV inkjet printing on both sides. Mounting, painting and laminating Palight is easy to handle, cut and fabricate using conventional tools and equipment. Its low water absorption makes it suitable for short term outdoor applications. Contact your local Spicers representative for more information or a sample.